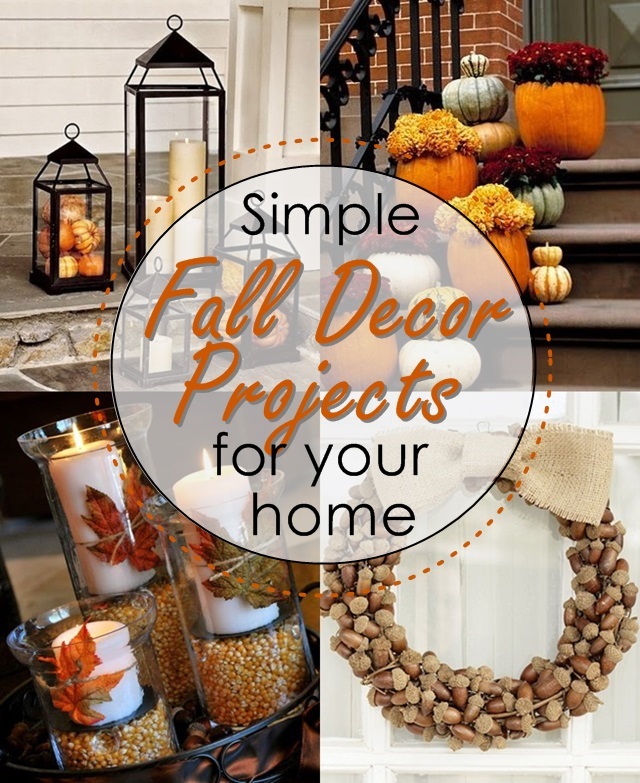 As the fall season begins, use these pretty decorating ideas to dress up your home with harvest happiness and welcome the season with simple DIY projects. 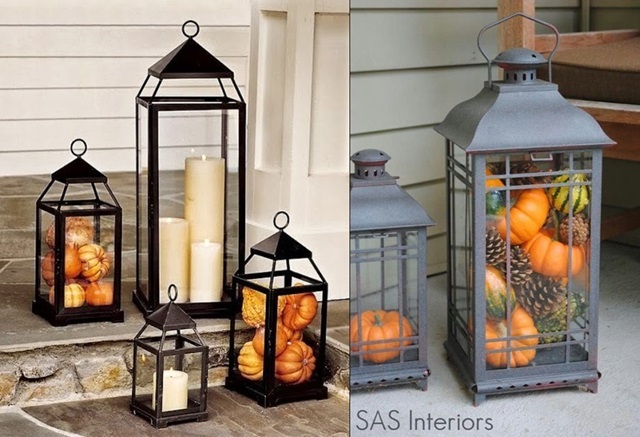 Make your lanterns fall-ready by placing pumpkins, acorns, and seasonal vegetables and display them around the house. Get your glue gun ready and update a simple twig wreath with acorns, leaves, and burlap for a custom-look. 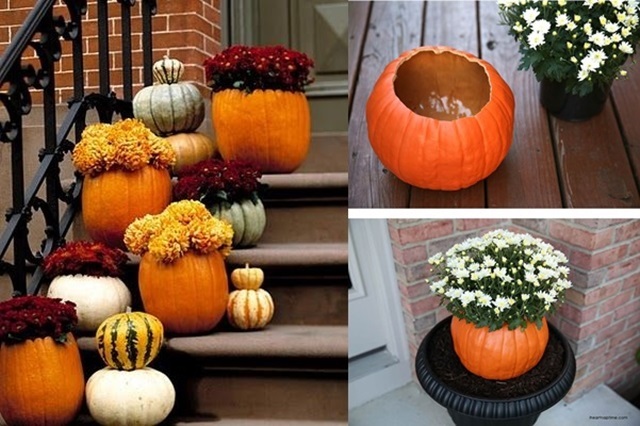 Real or fake, a pumpkin is a cute way to update your flower pots. Apothecary jars and hurricanes are the quickest and easiest way to switch up your décor. Use seasonal items like pine cones, pumpkins, or corn for a unique fall touch. You don’t have to spend a fortune on seasonal art. Printables like this one and this one, make an easy art project. Just finish it off with a picture frame and you’re done. 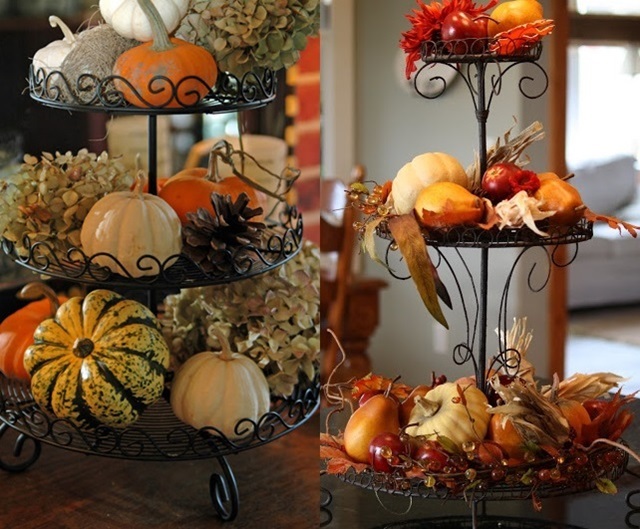 A tiered desert tray is perfect for creating a tall fall arrangement. 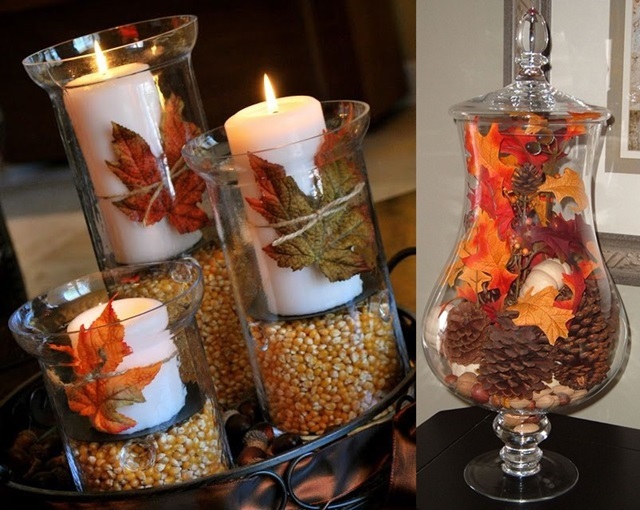 Add pumpkins, leaves, dry flowers, and fruits for a beautiful harvest centerpiece. 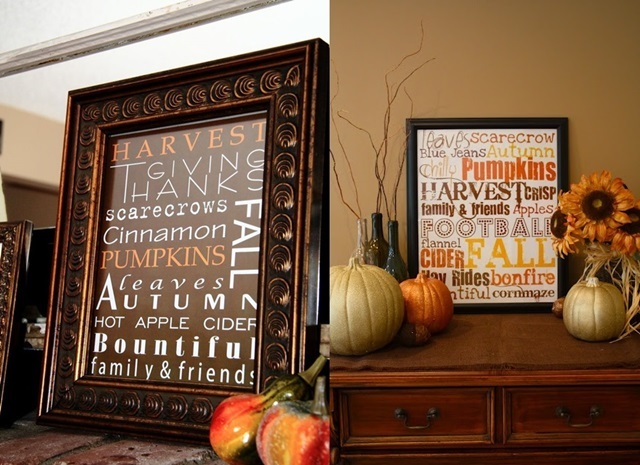 Which project would you like to tackle on this fall? I'm so ready for Fall, these photos are beautiful love the rich colors. Love this!! I am in southern california and even tho its hot here, I brought out my fall decor. Thank you for the great inspirational photos they're really making me wish the weather would cool down! Hope you can check out my site, I think you will enjoy it. I feel you. I lived in Florida for a really long time and I longed for the changing of the seasons. So glad I'm back up north where you can really enjoy the fall.